In addition to the main sections of The Birmingham Pals there are also smaller units, each fulfilling an individual role in the portrayal of The Great War. 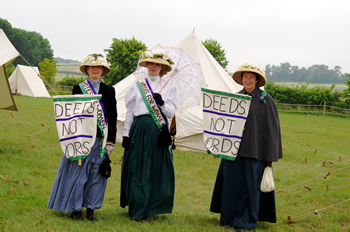 This group portray the Edwardian Suffragettes in the years running up to The Great War. 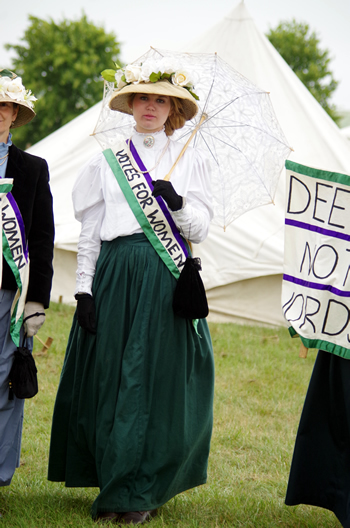 These women campaigned vigorously for the right to vote. 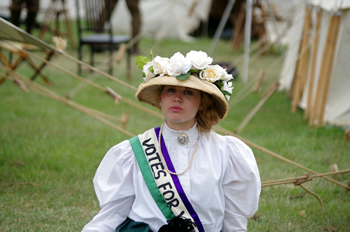 Amongst the Friends of the group are a few ladies who will occassionally appear at events to support the Suffragette movement in their struggle to secure the vote for women. 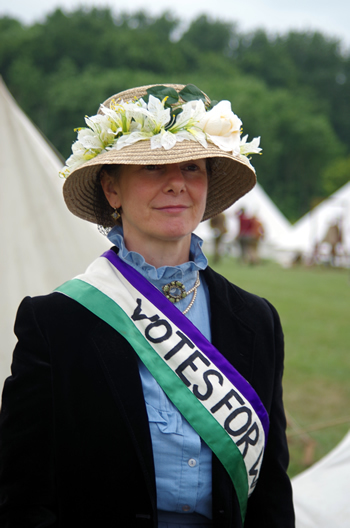 The colours worn by the Suffragettes are white (purity), green (hope) and mauve (dignity). After the declaration of War in August 1914 Emmeline Pankhurst issued instructions stating that the Suffragettes were to support the Government in every way in the war effort. Many women assisted with recruitment, and took on the jobs of men who left to fight. The work done by women was vital in the war effort, and as a result of their efforts, in 1918 The Representation of the People Act was passed with a massive majority by parliament - this gave women over the age of 30 the right to vote - the first step towards equality. 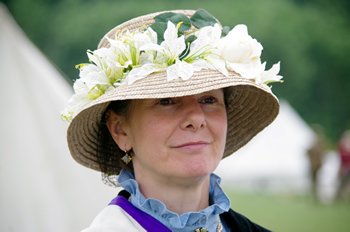 The ladies are sometimes joined by other "civilian" members of the group who portray a variety of period roles at events. Although The Birmingham Pals no longer have a dedicated Medical section, we are able to portray some aspects of medical care with members who take on the role of members of the Royal Army Medical Corps (RAMC), Queen Alexandra Imperial Nursing Service (QAIMNS) and First Aid Nursing Yeomanry (FANY). A member of this group also portrays a convalescing infantryman, complete with the "Hospital Blues" uniform. The Women's Legion is also represented. 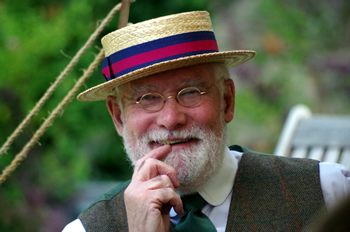 Some members will occassionally attend events in Edwardian period civilian costume. A specialist Armourer is able to stage displays of small arms of The Great War period, together with associated equipment such as tool kits, bayonets and artillery shells etc. The armourer has a display consisting of examples of each of the main firearms used by the British military since the English Civil War up to the modern day, and is able to demonstrate fire-power through the ages. Our Armourer has been employed as an advisor to several film and television productions, and was employed as Armourer in a major WW1 film due for release in the UK on 2 February 2018. The Armourer display usual forms a part of the British Infantry section of The Birmingham Pals. 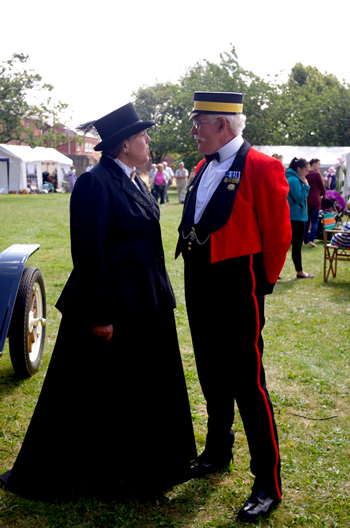 Associates are members of The Birmingham Pals who assist the group in their portrayal of The Great War, but who do not appear in uniform or period costume at events. The many tasks carried out by Associates may include administration, doing research, or helping with transport. 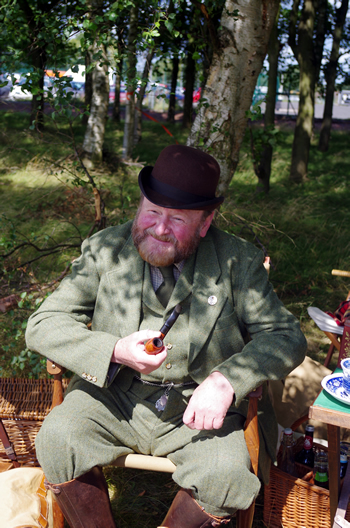 Members of other re-enactment groups may also be Associate Members of The Birmingham Pals, and work in partnership with The Birmingham Pals at events.